Closeouts. 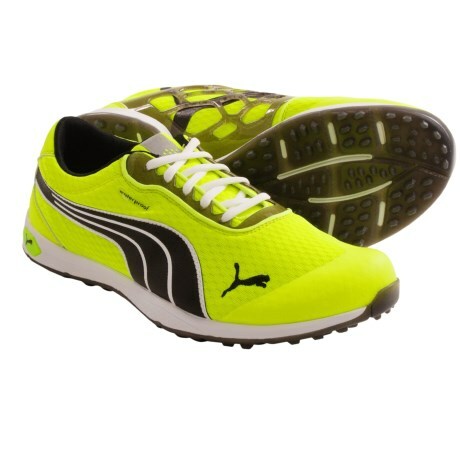 Puma’s Biofusion Spikeless mesh golf shoes offer a comfortable, flexible alternative to traditional spikes. The mesh upper features a Cell Cage on its medial side for lightweight support.